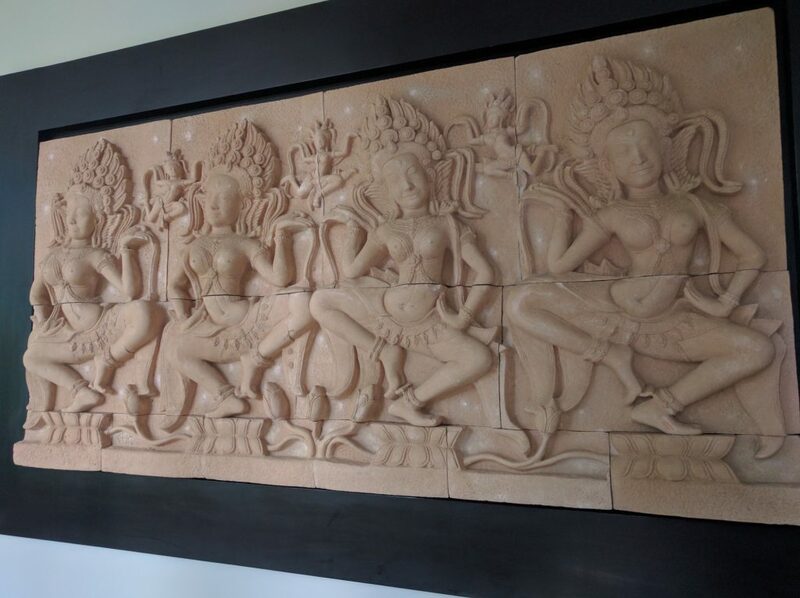 We stayed at the Sheraton Grande Sukhumvit in Bangkok for four nights. 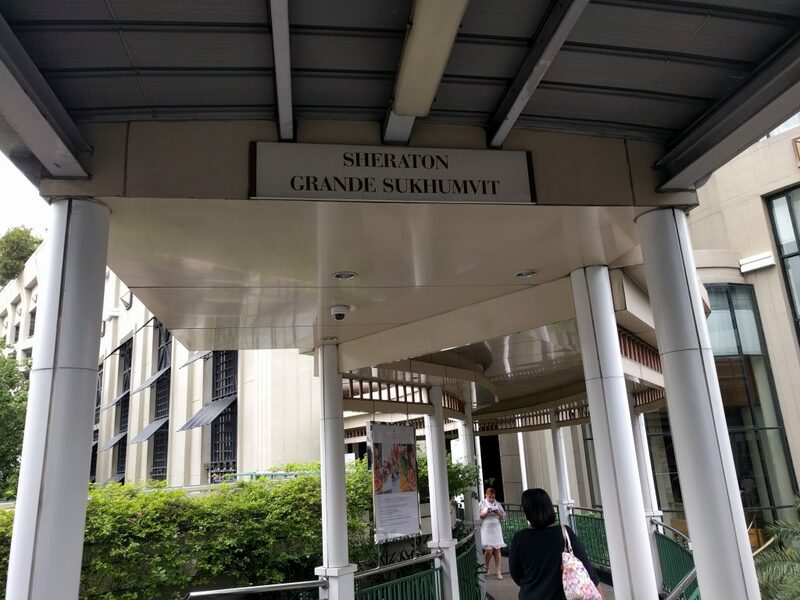 To clarify the name of the hotel, this isn’t a “Sheraton”, rather it’s a Luxury Collection hotel which is one of Starwood’s 11 brands. 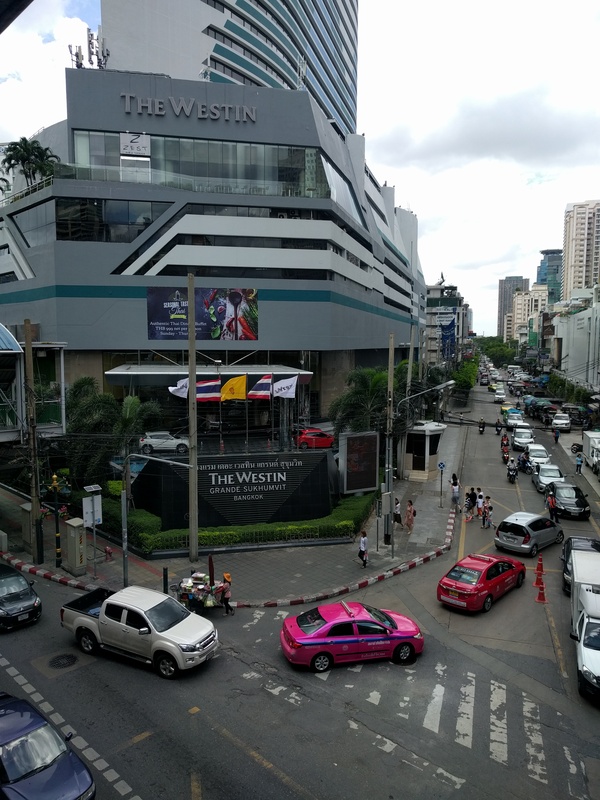 This hotel is literally across the street from the Westin Grande Sukhumvit. And it was just as fabulous! We entered from 1F, where the skywalk directly leads to the BTS Asok station. This is also where you’d enter if you arrive by taxi. The lobby is located on this level. 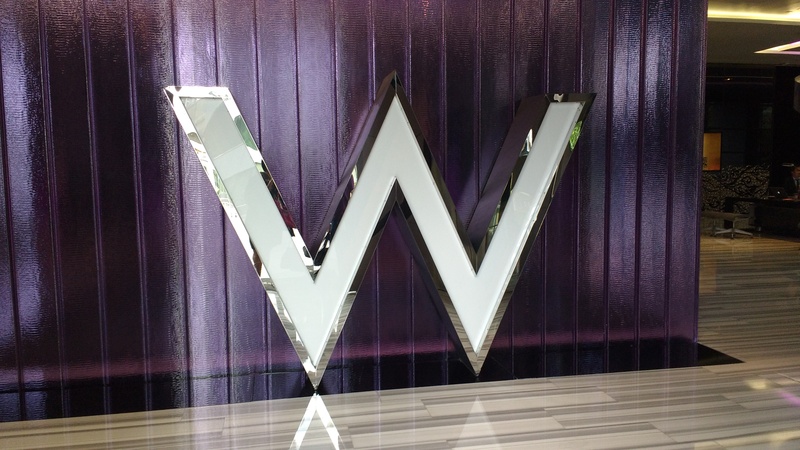 Starwood have 10 hotels in Bangkok, from eight different SPG brands. 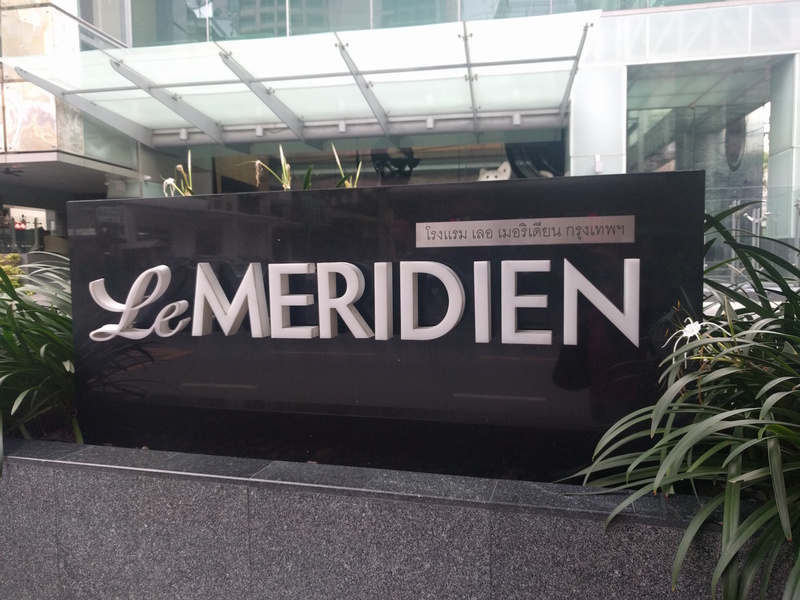 I recently stayed in a number of hotels, starting with the centrally located Westin Grande Sukhumvit.